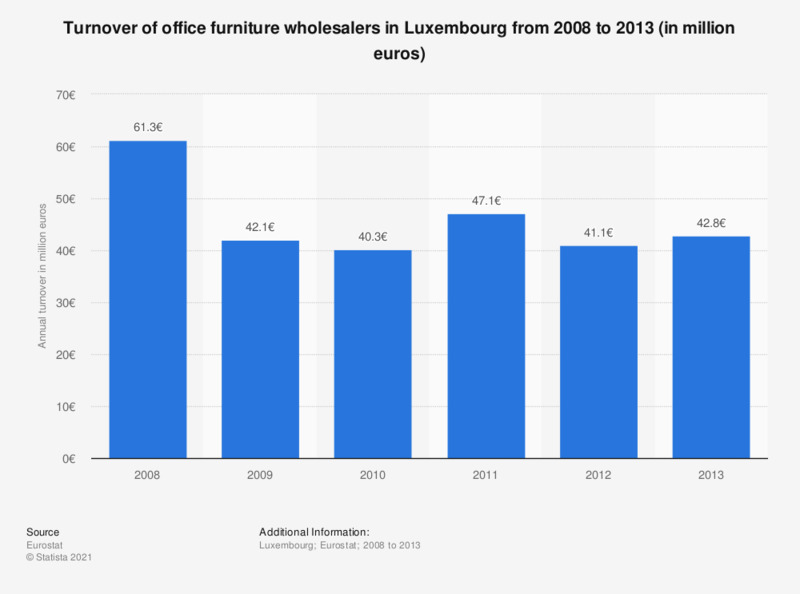 This statistic shows the annual turnover from the wholesale of office furniture in Luxembourg from 2008 to 2013. In 2013, the wholesale of furniture produced a turnover of approximately 42.8 million euros. Data coverage corresponds to Section G4665 of NACE Rev2. Statistics on "Furniture market in Canada"